AMMAN, Jordan (March 12, 2015) — As the conflict in Syria enters its fifth year, a new poll finds most Americans still have no idea how many people have been affected by the violence. The reality is that more than 3 million Syrian refugees now make up the largest refugee population in the world. That’s like the entire city of Chicago disappearing overnight. A survey of more than 2,000 U.S. adults conducted online by Harris Poll on behalf of World Vision in February found that when presented with a list of prominent humanitarian crises over the past twenty years, 4 out of 5 Americans did not believe that the Syria crisis affected the most people. When asked to compare the Haiti earthquake, the Indian Ocean tsunami, the Rwanda genocide, Hurricane Katrina and the Syrian conflict, only 17 percent of adults correctly ranked the Syrian conflict as the disaster that has impacted the most people. To date, the conflict in Syria has impacted an estimated 12.2 million people — more than Hurricane Katrina, the earthquake in Haiti and the Indian Ocean Tsunami combined. The continued violence has created the worst refugee crisis since World War II. The survey’s findings may help explain in part why aid agencies continue to struggle to move Americans to donate to the crisis. World Vision raised $36 million from people donating in the United States in the first year after the Haiti earthquake — $5.9 million of that in the first week alone. In comparison, as the Syrian conflict moves into its fifth year, the organization has only raised $2.7 million from private donations in the U.S. So far just 3 percent of World Vision’s entire Syria crisis response funding has come from private donors worldwide, making it one of the lowest response rates to a disaster. As an example, 50 percent of the Typhoon Haiyan response last year was funded by private donations and more than half of the Haiti earthquake response was funded by private donations. 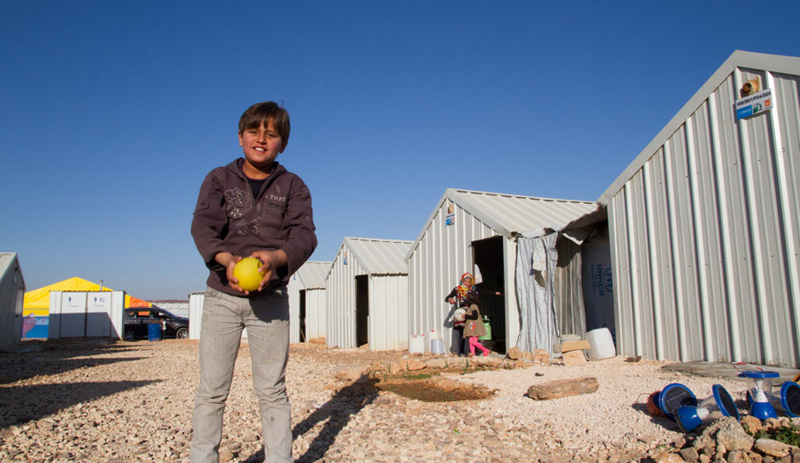 Since the start of the conflict, World Vision has helped more than 1.8 million people in Syria, Jordan and Lebanon. Programs include food and cash transfers, safe spaces for children to play, health care, remedial education, and water and sanitation. This survey was conducted online within the United States by Harris Poll on behalf of World Vision from February 18-20, 2015, among 2,053 adults ages 18 and older. This online survey is not based on a probability sample and therefore no estimate of theoretical sampling error can be calculated. For complete survey methodology, including weighting variables, please contact Lauren Fisher at 206.310.5476.